The One Stitch Face Lift is the latest facial rejuvenating procedure. This procedure’s primary objective is to give patients a more youthful and refreshed look without taking the plunge to a full face lift. The One Stitch Face Lift is much less intrusive than a face lift and involves just a local anaesthetic. The results are subtle but are often just enough to give patients a fresher and firmer appearance. It is just a day case procedure and does not require a general anaesthetic. The procedure itself involves just a local anaesthetic and only takes approximately 30 minutes, therefore recovery time is also usually very quick. After the procedure we advise that the hair is washed everyday with a mild shampoo for 10 days post-op. Or if preferred you can wash around the scar with boiled cool water. There is no need to return to the hospital for review appointments unless you have a query. The sutures we use are dissolvable, and they usually dissolve within 2-3 weeks. Q: Who is the most suitable candidate for a one stitch face lift? The best one stitch face lift patient is someone aged 40 or over, has good skin quality with no sun damage and is a non-smoker. Patients who are looking to achieve subtle results will really benefit from this procedure. This is dependent on the patient and their lifestyle. It usually lasts for 12-18 months. But factors such as smoking and sun exposure can reduce this. 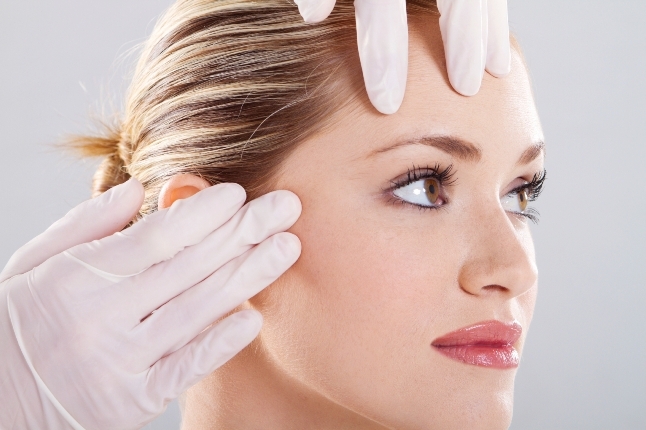 Q: What risks are associated to the one stitch face lift? With any procedure there are risks but there is just a slight risk of bleeding, bruising and infection. However the latter is heavily reduced due to the surgeon using sutures which have antiseptic incorporated into them. Patients are also given a week’s supply of antibiotics to take post-operative just in case. Q: Can I have this procedure if I’ve already had a face lift?